Holy Monday - Mary anoints Jesus with perfume. Judas is scandalised and leaves. 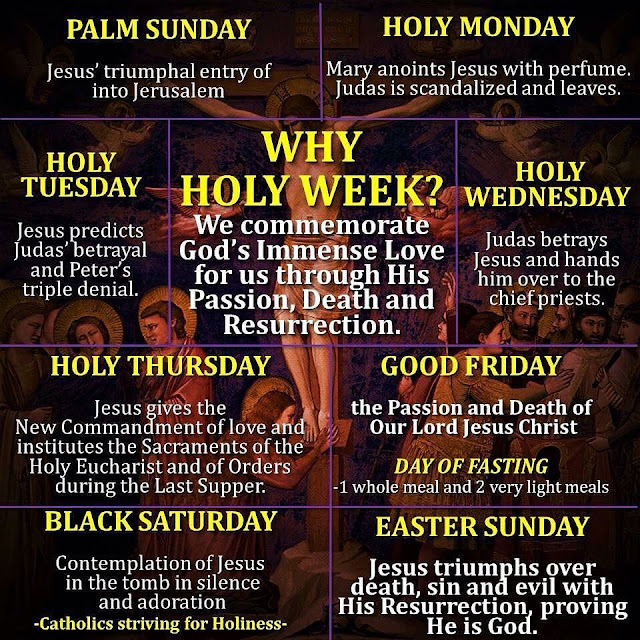 Holy Tuesday - Jesus predicts Judas' betrayal and Peter's triple denial. Holy Wednesday - Judas betrays Jesus and hands him over to the chief priests. Easter Sunday - Jesus triumphs over death, sun and evil with His resurrection, proving He is God. 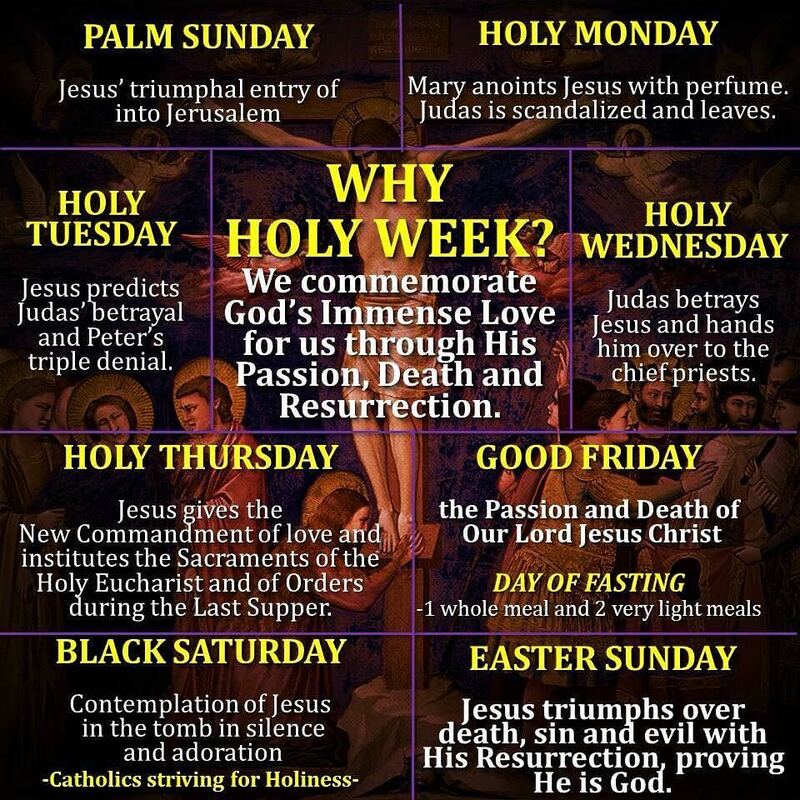 On Holy Week, We commemorate God's immense Love for us through His passion, Death and Resurrection.